Approximately 10 Bovidae went on the prowl and were suspected of chasing some children in Seattle’s Beacon Hill neighborhood. 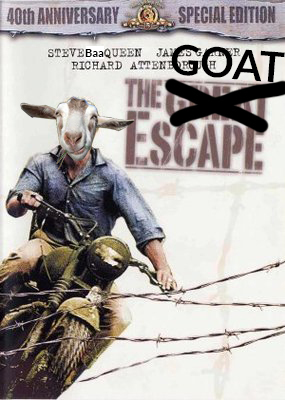 Seattle Police reported that the goats were loose in the 5000 block of S. Wallace. Now, that’s not what I would personally call Beacon Hill, it’s more like the west side of Skyway, but hey…. As it turns out, SPD managed to wrangle or round up this unruly bunch, turning them over to Animal Control who promised to catch up with the owner. Ouch. I’d hate to be part of THAT conversation!